Valencia is the capital of the autonomous community of Valencia and the third largest city in Spain after Madrid and Barcelona. 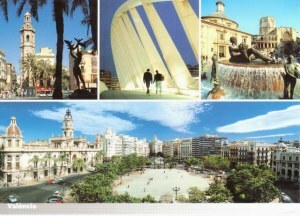 Valencia is Spain's third largest metropolitan area, with a population ranging from 1.7 to 2.5 million. The city has global city status. The Port of Valencia is the 5th busiest container port in Europe and busiest container port on the Mediterranean Sea.